1) What is the Fatboy's effective mass? 2) What wiring is used in the Fatboy? 3) Does the Fatboy come with a dual pivot? If so, is it integrated into the azimuth ring or is it an add-on like the current? 4) Does the Fatboy include a new tonearm support pillar due to its larger arm tube? 5) Does the Fatboy offer optional counter weights for very heavy cartridges? Is the Fatboy going to come in multiple outrigger weight sizes like the 3D for turntables like my SSM where there wasn't clearance for the longer outriggers? Or will the side weights now be short enough to clear the VTA tower? Or does the entire assembly get replaced? I assume my dealer would have to add the plate for the second pivot point. BillK wrote: Is the Fatboy going to come in multiple outrigger weight sizes like the 3D for turntables like my SSM where there wasn't clearance for the longer outriggers? Or will the side weights now be short enough to clear the VTA tower? Right now we are using our standard outrigger and not the longer outriggers to make sure that it is compatible with ~96% of our tonearm bases out there. If you are unsure about your base please send us an email (info@vpiindustries.com) with the picture of it and we can let you know if it is compatible. It looks like you upgraded both your turntable and cartridge from what you started out with in the beginning your employment at VPI Is that correct ? Pretty massive upgrade too! Can we see a picture Marc? How does the new rig sound? Yes this is correct! 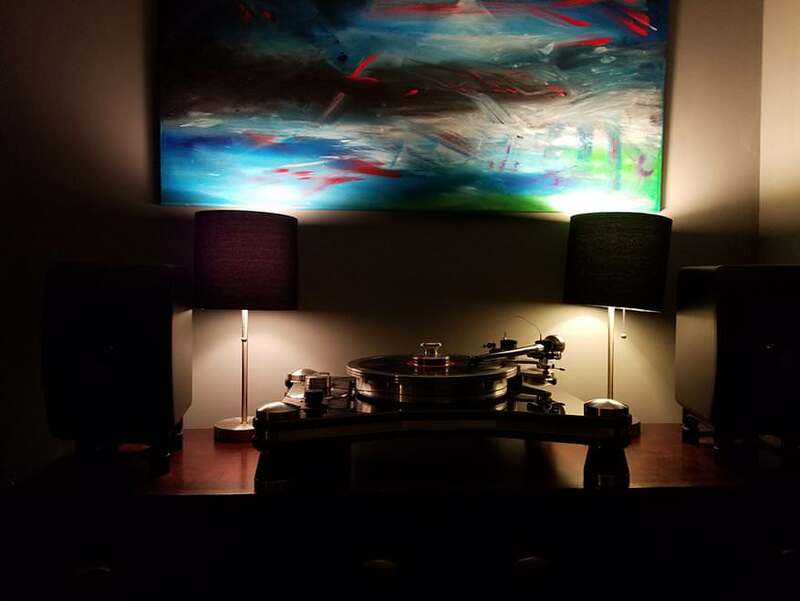 I went from a AT Turntable that a friend was letting me use -> Prime w/ 2M Red -> Prime w/ Quintet Black -> Aries 3D w/ Quintet Black -> Aries 3D w/A95 -> HR-X w/ A95. I also went from a PS Audio Sprout -> Musical Fidelity M6Si -> VPI Voyager for phono stages. So it's been an interesting journey since I started. I'm loving this combination. The A95 has always been one of my dream cartridges and the HR-X was always my dream turntable and I can't believe I actually get to experience them in my system. I actually jumped a bit ahead of myself since the HR-X is bigger than my platform So I guess that and some new speakers are next on the list. Marc, first thanks again for all the great support when I visited with my HRX. It is singing very happily right now, in fact. .
teenage diplomat wrote: Marc, first thanks again for all the great support when I visited with my HRX. It is singing very happily right now, in fact. .
You are welcome, it was nice to meet you in person! To be honest, I rushed home to set this up and forgot that it does take 3 belts when I was grabbing everything I needed to set it up. Rest assured it does have 3 belts now and I agree with you on the results. There are a still a few things that I want to do to modify my HR-X. However I don't want to side track this topic too much by talking all about it.